Build a manually controlled robot capable of traversing an arena similar to a canyon and save victims stranded at certain depths. For more details on the event refer to our website. For this event, we have chosen given body part shown in the picture below.The body chosen here enables the robot to traverse the wider groove in the arena, while gripping the canyon wall. You may also try other mechanisms to solve the problem statement. The pivot allows for free rotation of both segments, and hence allows the robot to turn in the constrained space of the canyon. 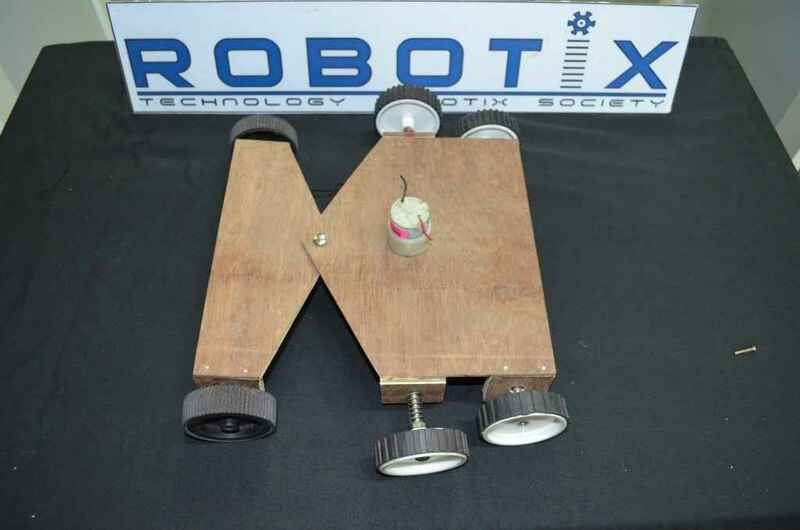 Corner wheels are driven by 100 rpm DC motors. They touch the floor of the groove. Middle wheels are free to rotate. 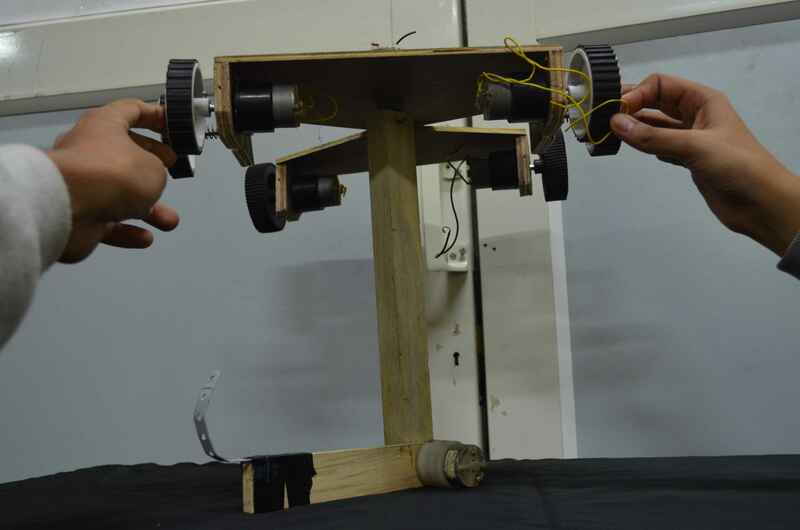 They press against the wall using a spring and help stabilize the robot. You need to decide here, as to what mechanism you are going to use to traverse the arena. The mechanism must be sturdy, it must be able to grip the canyon, and obviously, it must be able to move forward and backward. 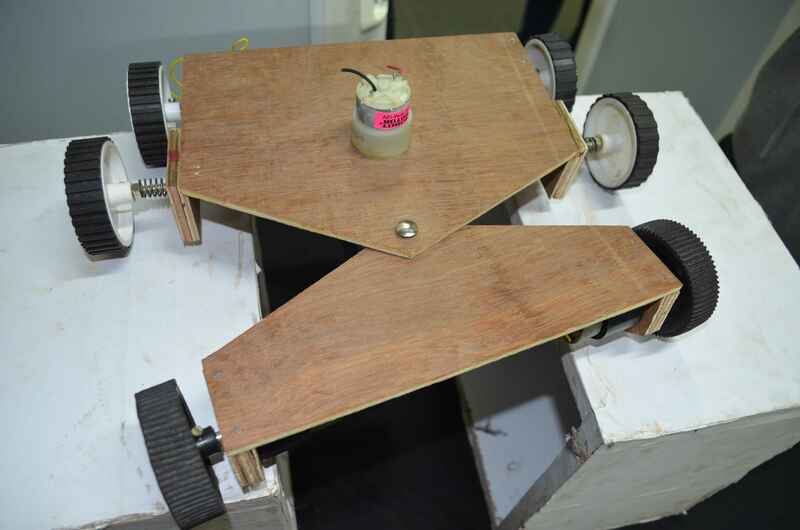 A spring suspension of the middle wheels which allows them to grip the canyon walls, and improves stability of the robot. The arm, as shown, has 2 degrees of freedom, i.e. it can rotate about 2 axes. 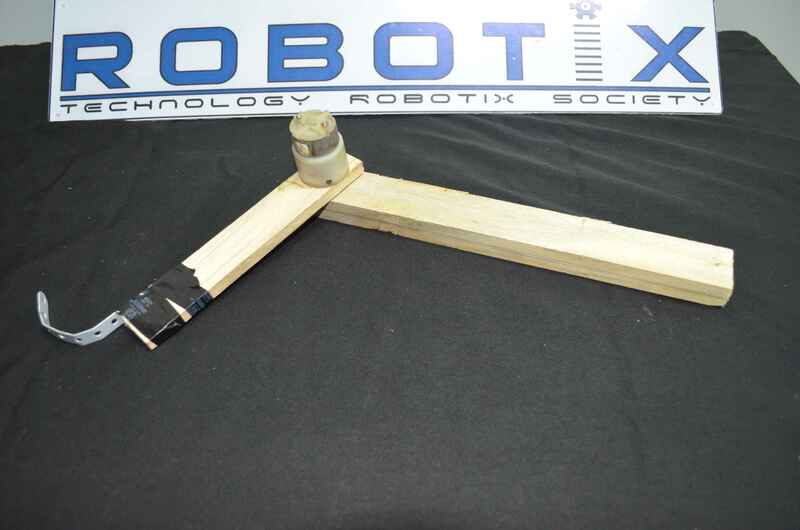 The whole arm itself can rotate about the vertical axis by means of a motor attached to it. This enables the hook to reach either side of the canyon. The elbow joint can rotate about its elbow axis, just like a human elbow. This enables the victims to be picked up by the hook attached at the end of the arm. As we are using 5 motors we need 5 three way switches. 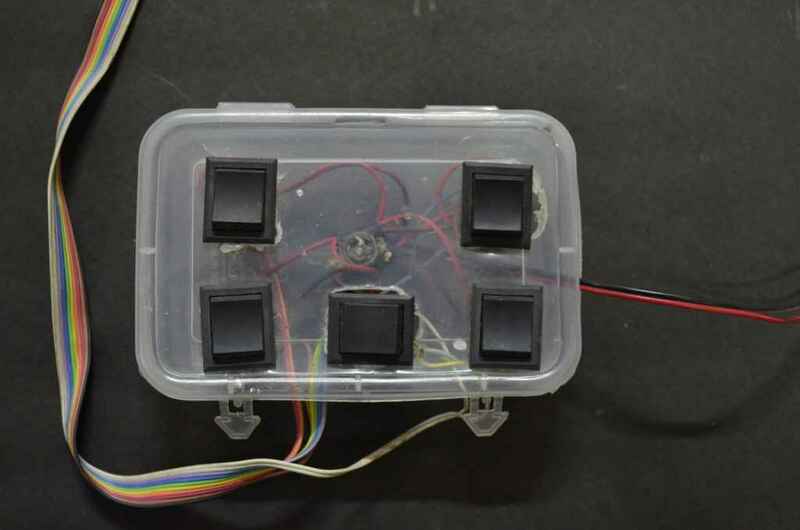 Body, traversal, and arm come together in one entity to take on the challenge:** Canyon Rush Robotix 2014**. Refer to the video tutorial for more details. You can also view the DIY in a pictorial and step-by-step manner here.